The genesis and vision for the organization of the Delta Foundation began in the late 1960’s when in dozens of forgotten towns with unforgettable names, such as Sledge, Alligator, Beulah, Nitta Yuma, Darling, Bobo and Midnight, the depression seemed that it never really ended. There were rural Hoovervilles of tarpaper shanties and stick houses, whole communities without indoor plumbing or paved roads, miles of open sewerage and accompanying disease and overcrowding. In 1969, a group of local community organizations resolved to transform the despair of the region and its people into hope. The hope of these founding organizations was manifested in the creation of Delta Foundation, a development vehicle dedicated to building real assets, income, and human capacity in the minority and economically underprivileged community and to establishing a solid foundation for permanent economic growth. Delta Foundation is a non profit 501(c)(3) tax exempt community development corporation. Through representation of 14 civil rights and community organizations working in Mississippi, Delta Foundation was chartered. Its basic purpose was to create businesses and jobs for its primary constituents, minority and economically disadvantaged residents of its target areas. The principle vehicle for the attack on poverty is the creation of for profit enterprises that increase control and ownership of resources by the poor. For over forty years, Delta Foundation has honored the vision of its creators. It continues to support economic growth and development in the Mississippi Delta Region, and has extended its services to incorporate Community Development either directly or through partnerships. Since its inception, Delta Foundation has been challenging the poverty of this region, replacing hopelessness with hope, idleness with productive jobs, and welfare check with paycheck. Whole communities have been transformed and the lives of thousands of people have been permanently. changed. Delta Foundation has created ladders of opportunity where once only poverty and dependency existed. 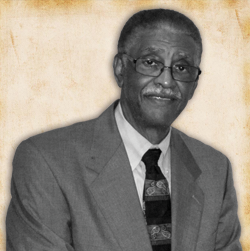 A prominent figure in the struggle for community and economic development, Nash has been a board member of Delta Foundation since 1969. After an organizational restructuring in 2010, he became President/ CEO, guiding the Foundation back on tract as the creators envisioned it. Nash is also president/CEO of Delta Enterprises, Inc a for profit company owned by Delta Foundation, Chairman of the Board Century Industries, Inc , and Electro- National Corp.
A native of Summit Mississippi, Nash is a graduate of Jackson State College and holds a bachelors degree in science education and a minor in math. He is a businessman, a former school teacher, a community organizer, health care administrator, and justice court judge. He is co-founder of the McComb Community Center, Inc., Southwest Mississippi Legal Services Corporation and Southwest Mississippi Health Agency For Rural People, Inc.
Nash was appointed by Governor William Winter to the State Personnel Board where he served seven (7) years. Nash was also appointed to serve on the State Department of Education’s Teacher/ Administrator Certificate Board. Delta Foundation’s Board of Directors is composed of members with a broad variety of background and experience. Their one common characteristic is to empower individuals through social and economic quality. The mission of Delta Foundation is to provide community and economic development activities for poor, mostly minority families, businesses and communities. This mission is undertaken to eliminate poverty within the Delta region.